← How I would make my stamp an image imbedded with URL? 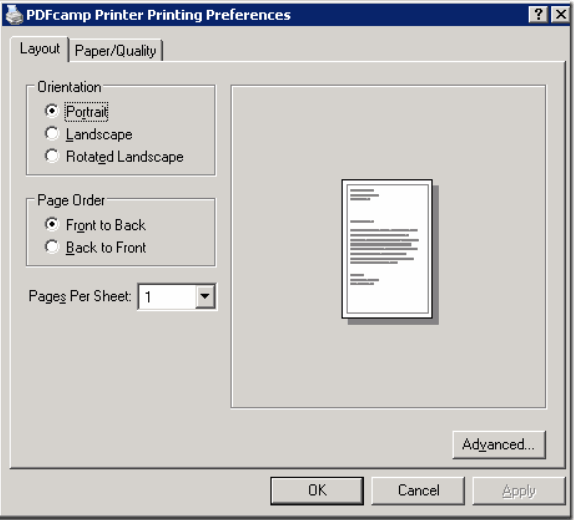 Since then, I have not been able to automate the production of PDF documents, since I cannot specify the file to output the pdf to. Also, in the registry (HKEY_CURRENT_USER\Software\verypdf\pdfcamp\), there is a "MessageLog" item that reads "Error: Can't read output PDF filename from registry." I tried to uninstall version 2.5, and re-install version 2.3, but now, I still get the screenshot as above and I'm still stuck!! 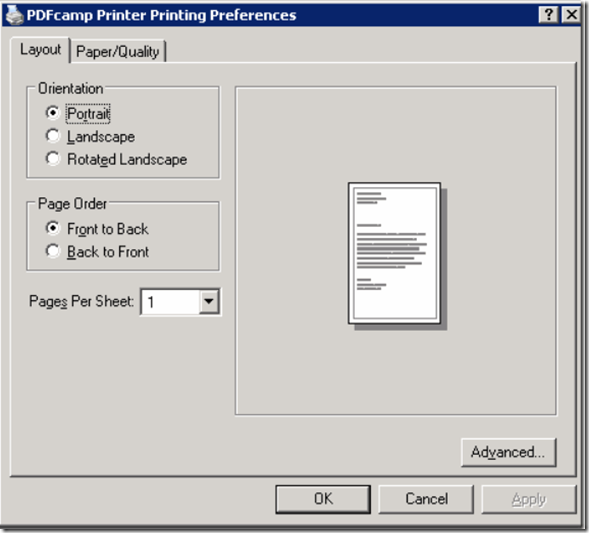 if you wish come back PDFcamp Printer v2.3, you need uninstall PDFcamp Printer x64 v2.5 first, and delete “PDFcamp Printer” driver, and then reinstall PDFcamp Printer v2.3, you will see “Properties” dialog of PDFcamp Printer v2.3.